Whenever a guest walks through our doors, you can see instant relief in his or her eyes. But during the harsh winter, your compassion provides more than physical comfort. You offer spiritual refuge. You can probably understand why guests feel so relieved since you know what a frigid winter in Newark is like. The biting winds and the piercing chill are painful, inside and out. Michael tried everything to combat the bitter cold as he slept in freezing temperatures in a park in the middle of February. “I would layer more clothes just to stay warm,” he shares. 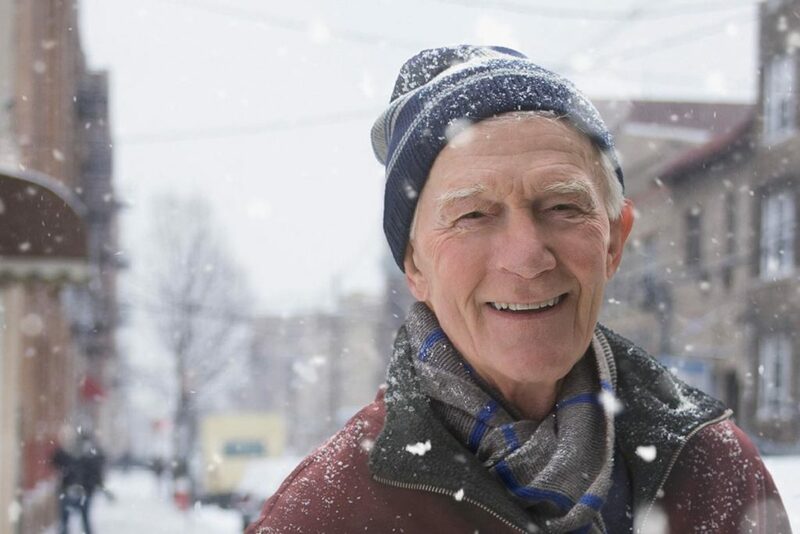 Another neighbor in need, Frank, didn’t even have a coat to cover his body as temperatures plummeted in the dead of winter. He contemplated taking his life to make the pain of the bitter cold go away. “I was miserable most of the time,” he shares. After enduring such despair, Michael and Frank were filled with warmth and hope when they came to the Mission. For so long, they were completely focused on trying to endure the suffering of the streets. Your generosity gave Michael and Frank an opportunity to think past their immediate needs and plan a more hope-filled future! For so many neighbors experiencing homelessness, one of the greatest sources of comfort is knowing people like you care. All too often, suffering men and women have been passed by on the street. But you look at them with God’s love and remind them of their worth! For many men and women, the practical care and refuge you provide opens the door to more lasting life change. When their immediate needs are taken care of, some guests join our residential programs and the pain they’ve suffered for so many years is finally addressed.